We’ve learned that the enemy attacks our lives and takes our spiritual breath away if we let him. Here are points from the series Spirit of Python to break the attack and detect the strongholds of the enemy over our lives. -Connect with people that will help your spiritual life, separate yourself from bad friends. -When you are going through an attack, you don’t need deadbeat friends who want to drag you down further. You need to be around spiritual giants who have fought the good fight of faith and are still standing. Read: Eccle. 4:9-10. Seek guidance on how to make friends with someone that has gone through the same stuff you have gone through, let yourself be mentored and seek that person that can be a “Power Partner” Prov 27:17 It is good to be around people who have lived longer and done more than you have. You can glean from their experience, including their mistakes. -Be humble, submissive: “Obey those who rule over you, and be submissive, for they watch out for your souls, as those who must give account. Let them do so with joy and not with grief, for that would be unprofitable for you.” Hebrews 13:17. -Rely on the shepherd’s protection: God sees things that you can’t see, attacks that sometimes you cannot detect, David, as a shepherd saw that God protected him. (Read Ps. 23:4) Definition of Staff & Rod: The shepherd’s staff had a hook on the end, used for pulling a lamb out of danger. His rod was used as a weapon against predators. -Do not refuse the help of your leaders, don’t wait until the enemy tears you to pieces to realize you need help from others. Scripture teaches that there are spiritual battles all around, we live in two atmospheres. a: One is a physical atmosphere that we can see, smell, hear, touch, and taste. b: The other is a spiritual atmosphere. We cannot see it with the natural eye or experience it with the rest of our natural senses, but it is very real, and it is vital that we understand more about it. Question: Have you ever been in a situation where you know the air is tense? Question: Have you ever been in a family reunion where 2 people have issues with each other and they haven’t said anything but the atmosphere is tense? No words have to be said for you to feel the tension. The atmosphere of holiness, purity, praise, worship, prayer, love, and unity attract the Holy Spirit — just as an atmosphere of lust, drunkenness, anger, and hatred attracts demonic spirits. You impact your spirit by the atmosphere you choose. The choices you make with the places you go can impact the way you get tempted to sin. Be careful with the places you enter, the atmosphere there might get you to sin. Use wisdom, be alert. Galatians 5:22-23: when the fruit of the Spirit is in you, you create an atmosphere for the presence of the Holy Spirit. Q: What kind of atmosphere does your life have? Are you attracting the Holy Spirit, or is the atmosphere just right for a demonic invasion? A tormenting or vexing spirit is a lower-ranking demon that comes to oppose your mind and bring depression, fear, and excessive worry. Perhaps you’ve experienced a lot discouragement, depression and hopelessness very often and are being tormented mentally, that might be an indication. Attacks to your mind and emotions, even thoughts of suicide, that is a spirit tormenting your mind. Verbally Praise the Lord. Combat this spirit with Praise, put on Worship Music. Have an attitude of gratitude towards the Lord, think about the good things GOD has done. Remember, atmosphere is everything, so don’t give in and begin to say words that make the devil think he’s winning. Speak words of praise, and that spirit of heaviness will lift. Any time you open yourself up to doctrines of demons and false teachings—including horoscopes, fortune-tellers, palm readers, and psychics—you are opening the door to Satan’s plan for your life. As you get yourself into these doctrines, you are giving heed to deceiving spirits (1 Tim 4:1). Be careful what you get into: e.g. don’t read horoscopes…etc. Stay away from all of these spirits. You need a pastor, teacher, prophet or evangelist who have the authority to counsel. Seek help and STOP contact with palm readers, psychics immediately. There are higher-level territorial principalities that try to control certain geographical areas. Certain cities are known for certain influences, such as Las Vegas with gambling, Los Angeles with entertainment, New York with finance, and Washington DC with politics and power. These territorial spirits are demonic powers trying to control the culture over a city, region, state, or nation. It takes a community of believers praying and fasting and establishing strong churches in those cities, regions, and states that deal with the principalities in high places. Jesus said, “I will build My church, and the gates of Hades [hell] shall not prevail against it” (Matt. 16:18). That is what Paul was talking about when he said, “His intent was that now, through the church, the manifold wisdom of God should be made known to the rulers and authorities in the heavenly realms” (Eph. 3:10, NIV, emphasis added). -Before you believe in Jesus Christ, you are unwittingly dominated by this atmosphere of thought. But when you realize that he is the ruler over all these thought forms and realize the ways in which you are bombarded every day by these sources, you begin to see how deadly the prince of the power of the air can be. His deceptions about life and its purpose are lethal, they can kill you and your spiritual life. That’s why we have to be Unplugged and focused on Jesus and have him renew our minds and change our point of view. Romans 12:2. Unplug yourself from the atmosphere that he cultivates around you and be focused on Jesus and the promises found in the Bible. Create an atmosphere of WORSHIP & PRAISE everywhere you are. Let the Holy Spirit dwell within you. God responds to atmosphere. He is everywhere—but He does not manifest His presence equally everywhere. God manifests His presence when the atmosphere is right. That’s why WORSHIP and having a humble heart that is thankful is important. It is important to understand atmospheres and your ability to change them because Jesus has authorized and empowered you to do so. I have heard it said that Christians are not to be spiritual thermometers but spiritual thermostats. In other words, you are not merely supposed to detect the spiritual climate as a thermometer detects the existing temperature in a room; you are to change it, imposing the authority of the kingdom of God wherever you go. How do you usher in a climate change? Start by changing the atmosphere. Keep a spirit of prayer and praise in your life. It creates the right atmosphere around you. Jesus changed the atmosphere in His region. You have the power to change the atmosphere and usher the presence and power of God into your situation, your home, and your church. This is how you keep the python out. REMEMBER…We fast, pray, praise, worship, intercede, and stand and wage war in the spiritual realm. We cannot let our enemy, the python, work his way into our lives, squeeze the life out of us, and render us ineffective. 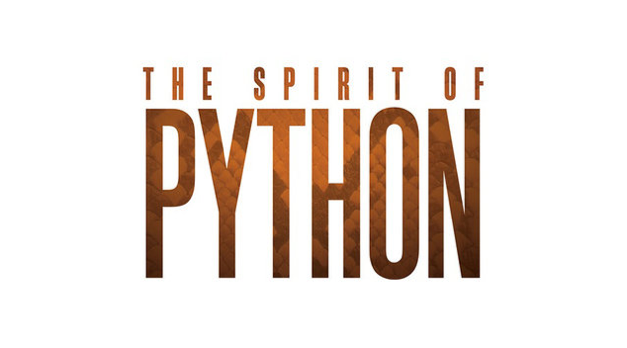 Study Notes based on the book Spirit of Python by Jentezen Franklin. Some of the content here are excerpts from the book – chapters 2 and 3. Unplugged does not take credit for any of the content related to the book and these notes are only for purposes of our small group members to follow up on the book readings. Buy the book on iBooks or Amazon TODAY.